Ray Hanania's Column Commentary Podcast, Sept. 15, 2016. 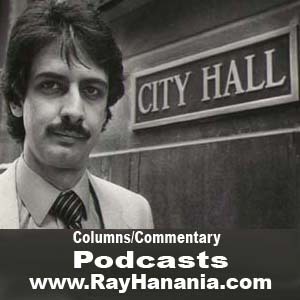 Ray Hanania's columns are available in print, online and audio podcast format. I remember the JFK assassination. I remember the 9/11 terrorism. And, I remember the very first time I used a credit card. How many people remember that? The Vietnam War ended and I had been transferred to an Air National Guard base in Peoria. When I got home to Burbank, I borrowed my mom’s car to drive to Peoria. She gave me a plastic card and she explained I could use it to get gasoline from Shell. Wow, how the world changed since I left to join the fight against the Commie-bastards!